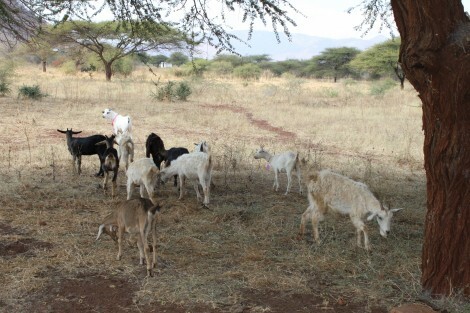 Students and faculty from SDSU travelled to Tanzania for two weeks in June 2011 to establish the Goats For Kids program at Mnyakongo Primary School in the small town of Kongwa. 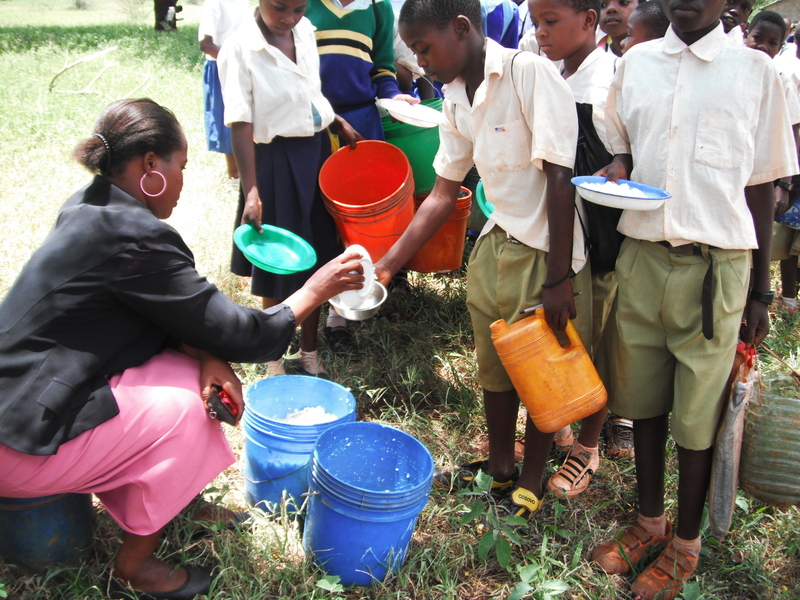 Its aim was to establish a school lunch program for children at Mnyakongo Primary School. 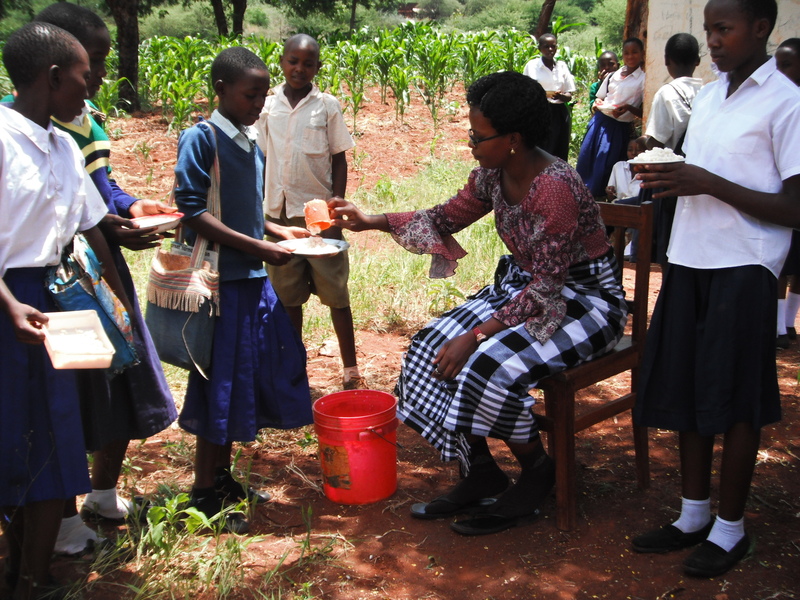 After consultation with the Headteacher at Mnyakongo Primary School, Ms. Angelina Munduli, a sustainable solution to the lunch program took shape; a nutritious maize meal porridge served with fresh milk would suffice. 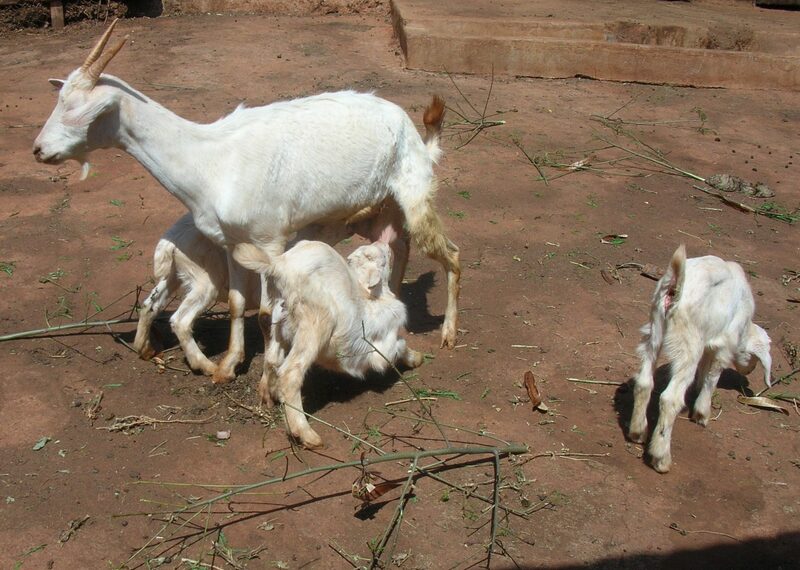 In order to obtain fresh milk on a daily basis a small herd of milk goats would be kept on the school grounds. 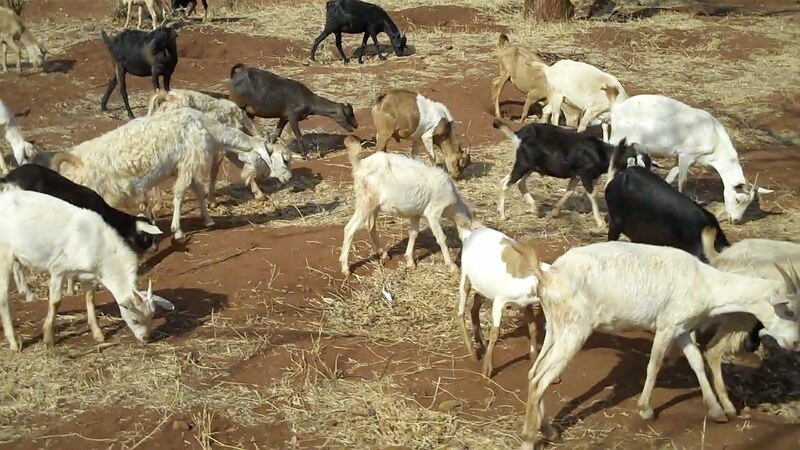 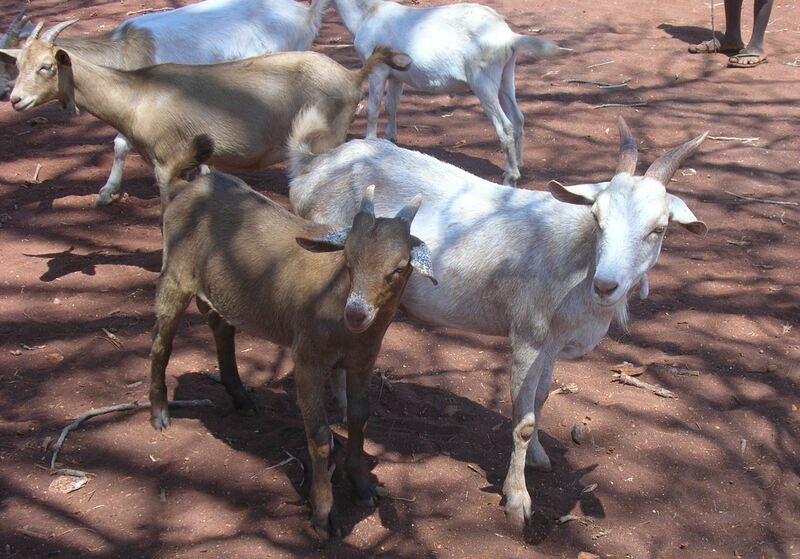 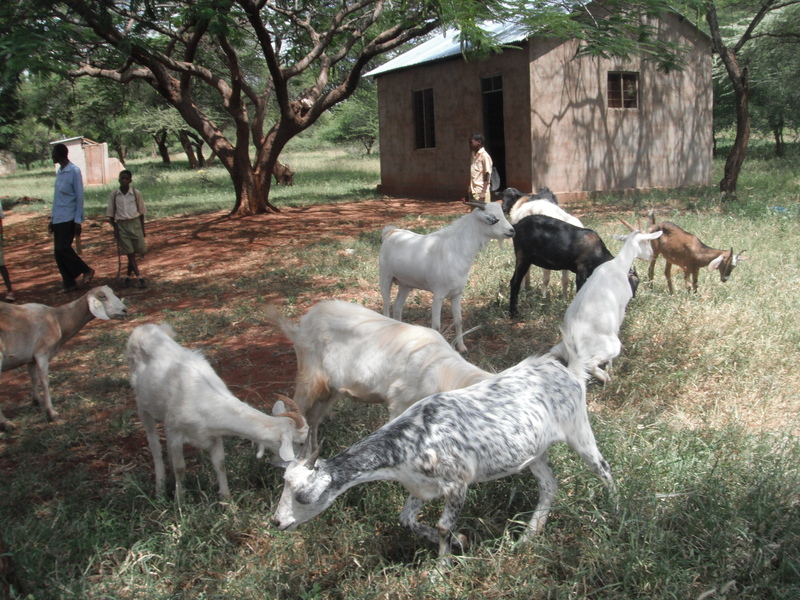 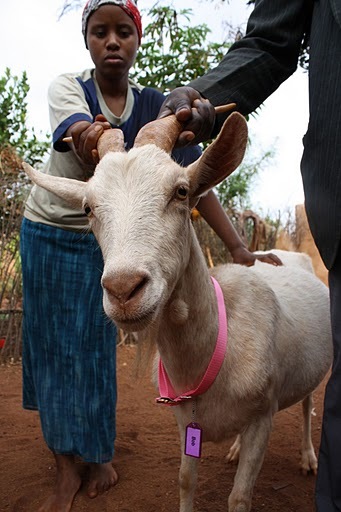 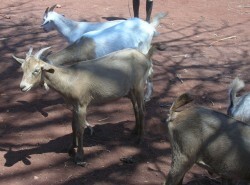 The cost of a single milk goat in Tanzania is approximately $80. 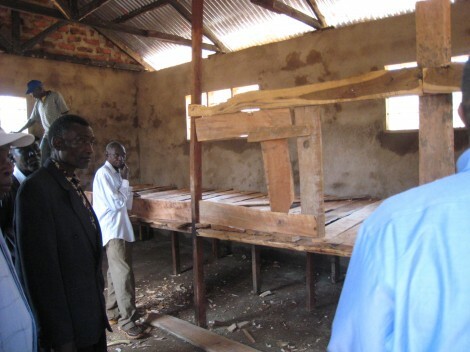 By the time we left Kongwa in June 2011 we had everything in place for the lunch program – goats purchased, parents contributing maize meal, and a goathouse under construction on school grounds. SDSU student Aaron Almuina and I hopelessly trying to herd goats! 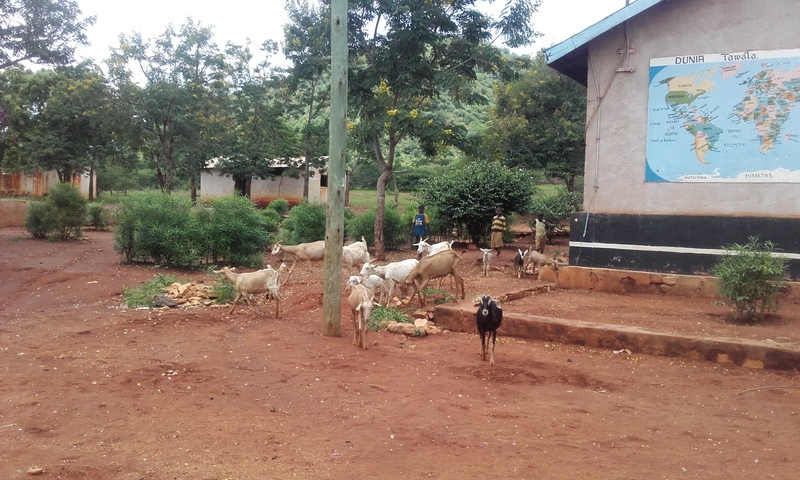 Having reached our initial goal at Mnyakongo School we intend, with vigorous fundraising, to expand the project to assist other primary schools in the region. We had enough money to buy one goat and a humble goathouse for the primary school at the village of Sogambele outside Kongwa (below). We are fundraising to increase the herd and extend the goathouse. 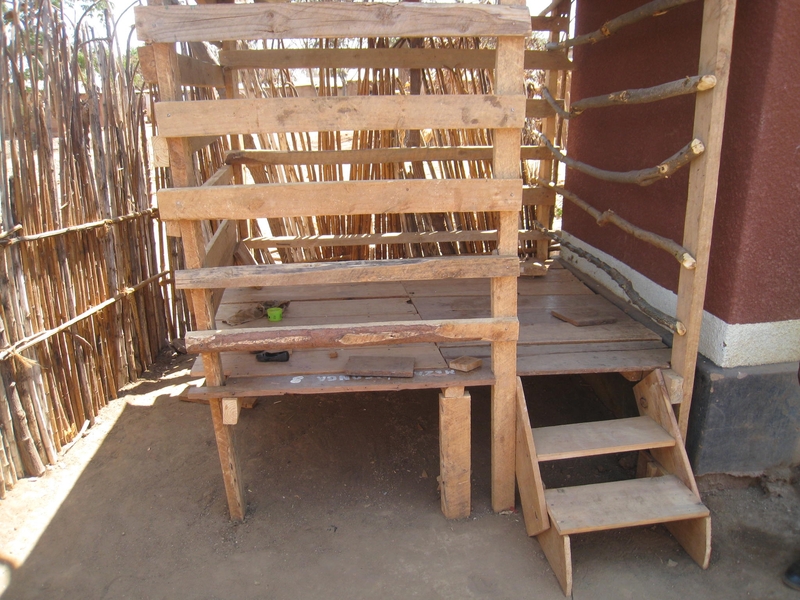 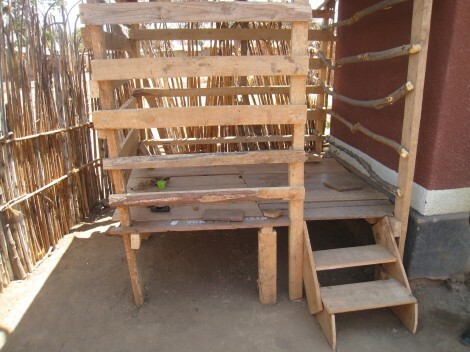 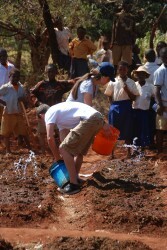 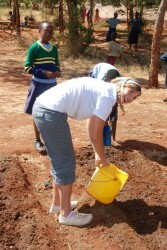 In 2012 a group of students and faculty will travel to Tanzania and will stay longer in Kongwa than in previous years. 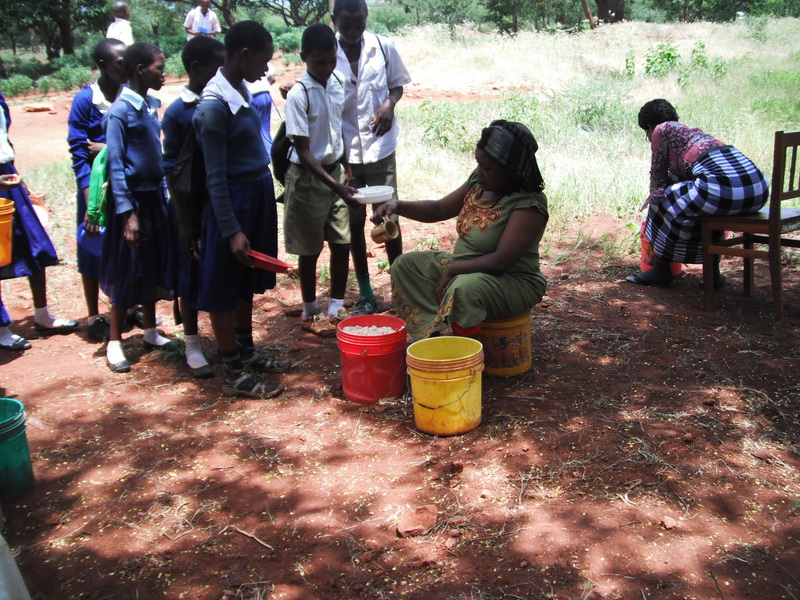 It will assess the success of existing projects, and will prepare a shamba (a plot of land used for cultivation) for the supply of maize porridge (uji) for the primary school lunch program. 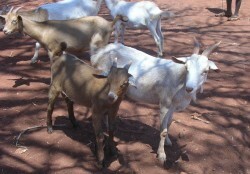 We are hoping the Goats For Kids program will be fully sustainable without outside funding by 2013. 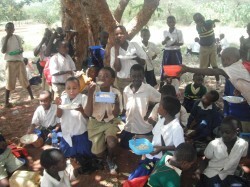 At present parents donate maize meal for the porridge. 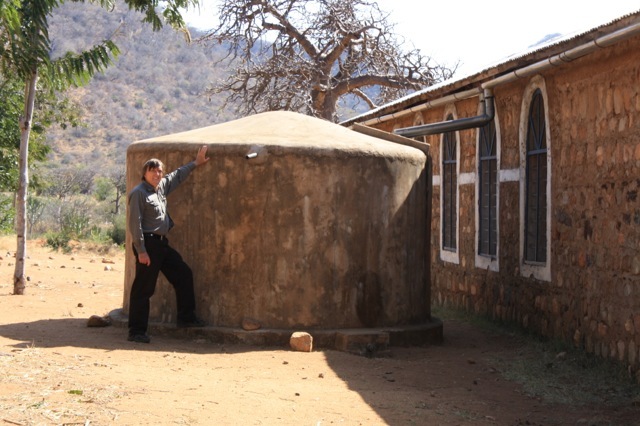 The next project, for which we are currently raising funds, is the collection of rainwater to be used to water the shamba throughout the year. Goats For Kids is an innovative self-sustaining literacy project initiated by San Diego State University students, faculty and staff and supported and sponsored by the students of Phi Kappa Phi, the University Honors Program, Mortar Board, Scholars Without Borders, the campus community, and donors throughout the United States and Great Britain. 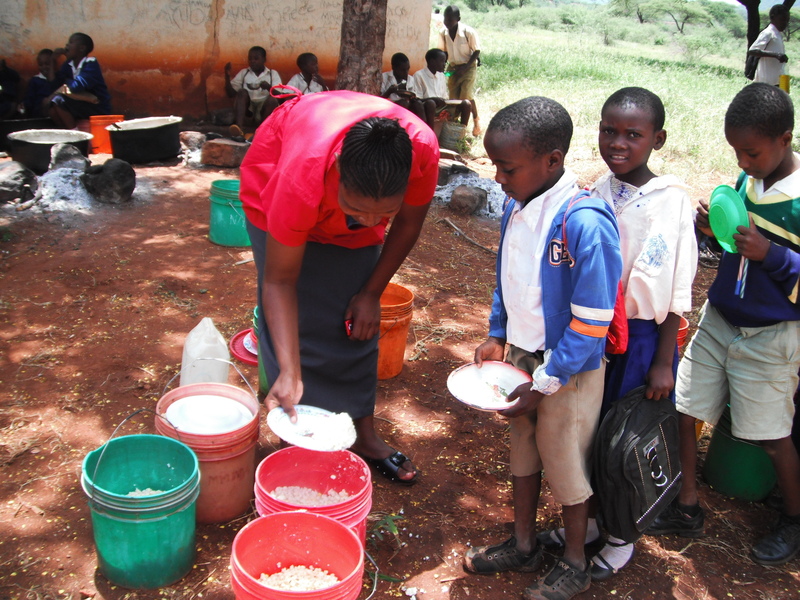 Until now the children were not provided with food at the school so it was great news indeed to receive word that the “Lunch Program” began this term with maize meal porridge and goats milk served for lunch on Tuesdays and Thursdays. 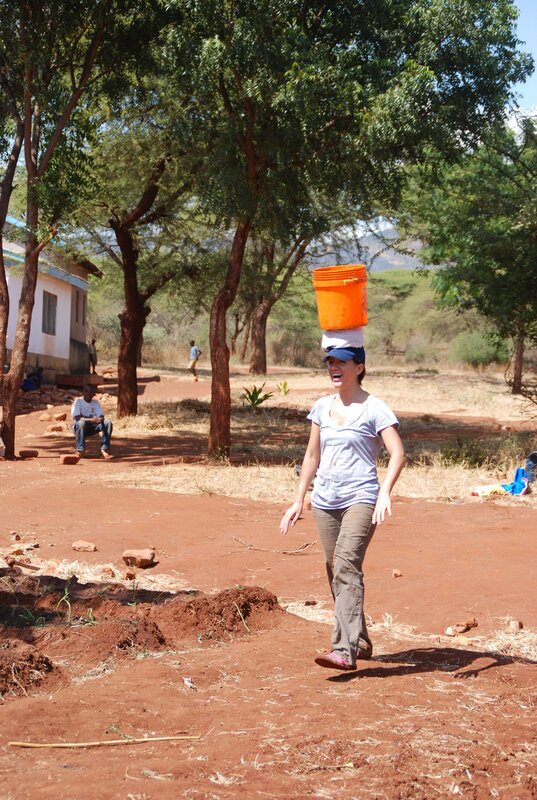 Four San Diego State University students enrolled in an interdisciplinary 3-unit General Studies course in the summer of 2012. 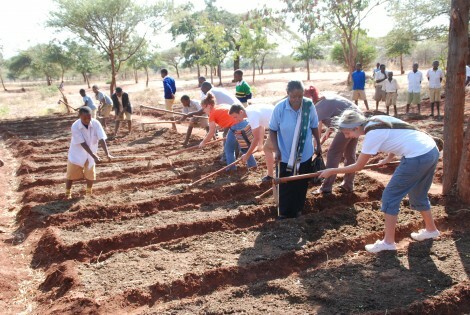 They together with 2 students from the School of Theatre, Television, and Film, who were completing an “international experience” requirement, and 3 faculty from SDSU travelled to Tanzania between 10th and 24th June 2012. The Goats For Kids program which was initiated at the school last year by the visiting SDSU faculty and students – and funded by faculty, staff and students from SDSU, and by the San Diego community, was strengthened. More goats were purchased and we were delighted to see offspring from last year’s purchase. 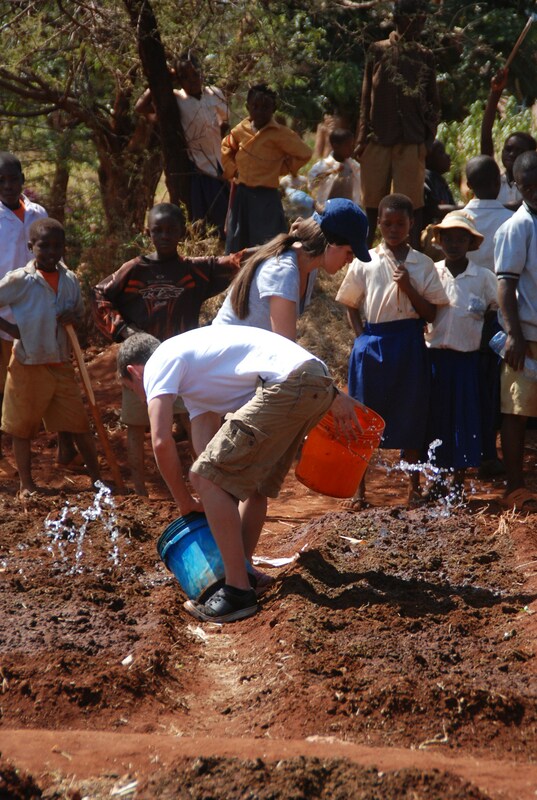 The SDSU students dug a vegetable patch and planted seeds as part of the Goats For Kids program. 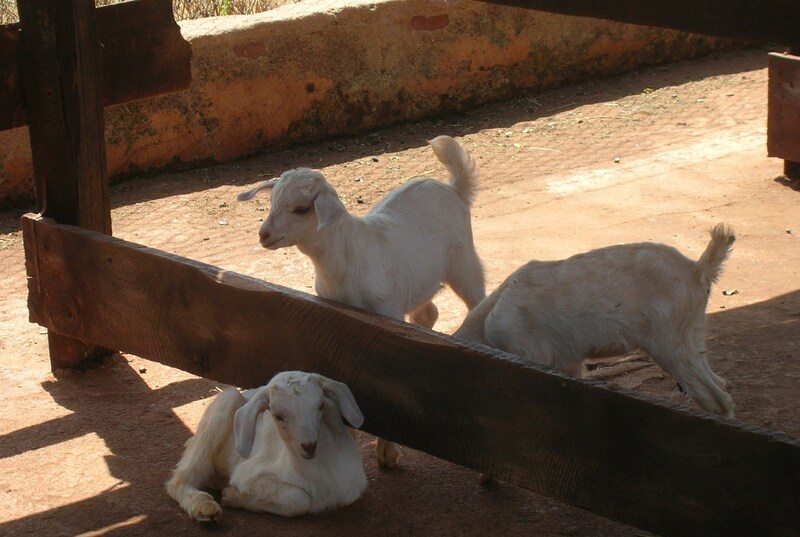 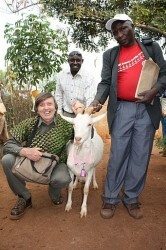 It is hoped that the Goats For Kids program will be fully sustainable in the next few years. The little herd is growing and thriving with several kids born this year. 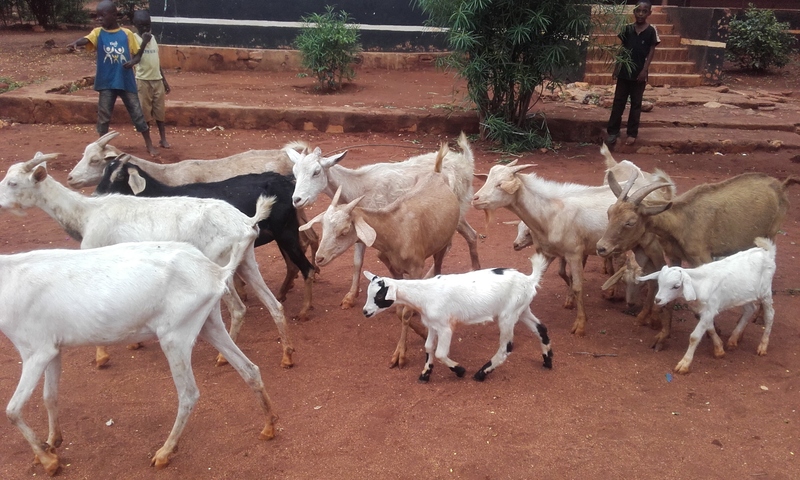 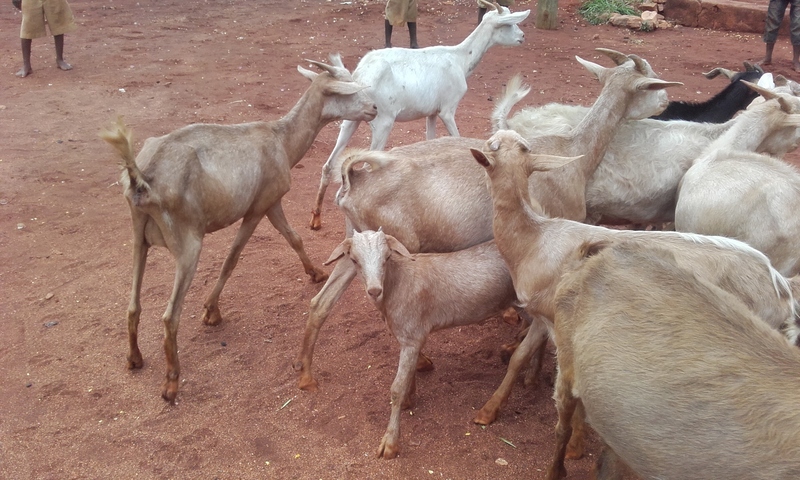 We purchased another 6 goats to add to the herd, thanks to donations from friends and colleagues in the USA and UK. 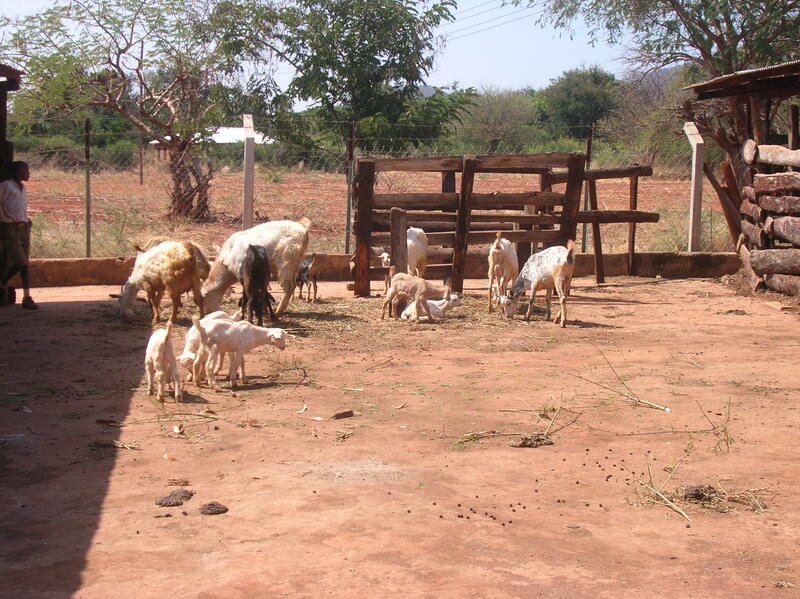 The very dry weather and the lack of rain took its toll on our little herd in 2016 and, sadly, we lost a few. 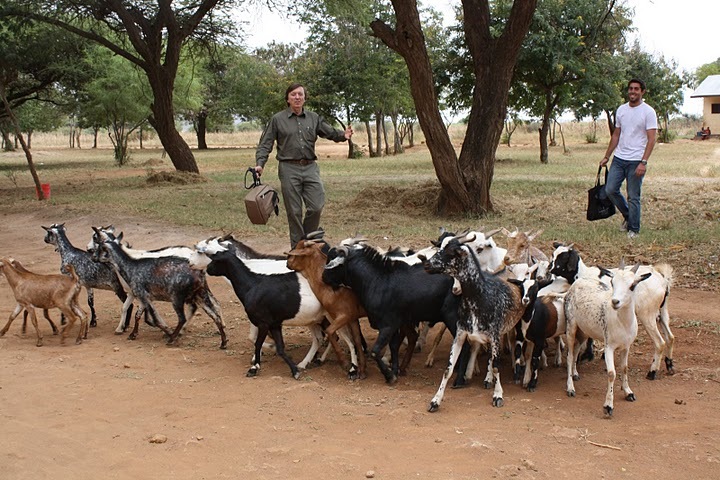 Some photos from Kongwa this month are reassuring and we hope to make some additions to the herd when we visit again in October.